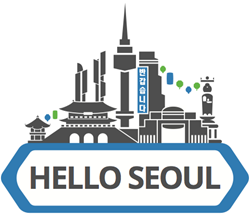 HasOffers, a Seattle-based mobile advertising analytics company and creator of MobileAppTracking (MAT), announced today the opening of its first Asia Pacific office, in Seoul, South Korea. Seoul is the fifth office for HasOffers--with locations in Seattle, San Francisco, London and Tel Aviv--and this new office will give the company a regional homebase to support the wider Asia Pacific market. Bryan Kim, Director of Business Development APAC, relocated from San Francisco to lead the Seoul office, reporting directly to recently hired Ralf Hirt, Chief Revenue Officer. HasOffers and its MAT product have experienced tremendous growth this year. The company now employs more than 165 employees worldwide, up from just 60 last year, and closed 2013 with $19M in revenue, up almost 300% from 2012. MAT has been seeing especially rapid growth over the last year, as clients join the platform to help measure the performance of their mobile app advertising campaigns. More than 50% of MATs revenue now comes from international clients and that number is quickly growing in the Asia Pacific region. “Since the launch of MobileAppTracking, we have been experiencing huge demand coming from Asia Pacific, which contributes substantial revenues to our global organization. By setting up operations in the region, we are laying the foundation for further hyper growth to come!” said Peter Hamilton, CEO. How Important is the Asia Pacific Market? Learn more at http://www.hasoffers.com/about and http://mobileapptracking.com/.